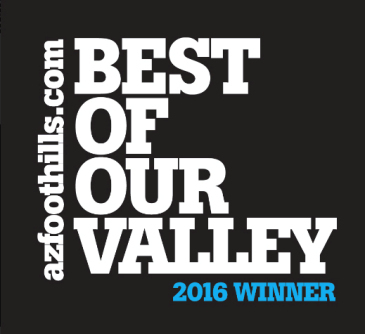 Click on any of the websites above to read honest, unbiased reviews about us. 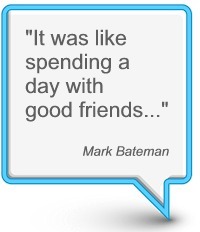 We are proud of the reviews from our clients. You can expect the same exceptional service. Carmen is a true professional. She approaches her job with the precision, dedication and excellence you’d expect from a highly trained legal professional – which is exactly what she was in a prior life. And unlike a lot of lawyers I know, she always makes you feel welcome and is happy to help. What I like best is that she offers very high content, high quality information about sales trends and home prices which is invaluable to someone like me that’s not from the area. In one day touring homes with Carmen, I felt like I took a graduate course in Real Estate and was able to tender my first bid with confidence. 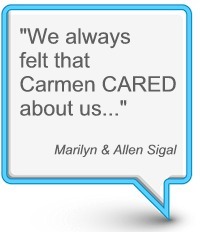 Carmen was extremely helpful to us in finding a home in Phoenix. As Canadians, we relied heavily on her extensive knowledge of the different communities in Phoenix. She skillfully and patiently guided us through the process of buying, explaining how it works in the US so that we understood the entire process. One of the things I really appreciated about Carmen is her quick response time. She was very quick to respond to emails and almost always answered her phone. Overall, Carmen was very thorough, accessible and very knowledgeable about all areas of real estate and the local area. I’d highly recommend Carmen Brodeur if you need a Realtor in the Phoenix area. 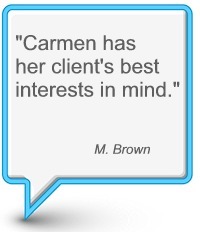 Carmen is an excellent realtor and provided detailed, attentive service to help me find my home. Her legal background and extensive knowledge of the Scottsdale real estate market gave me an advantage in finding my ideal property at an excellent price. I would highly recommend Carmen to anyone looking for a personable, detail-oriented realtor with a high level of expertise in the local market. 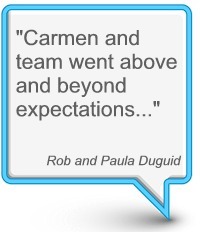 I would highly recommend Carmen and her team to anyone buying or selling a home. I came across Carmen’s profile on Zillow after looking at many. I was planning on relocating from the east coast and needed someone experienced as both a buyer’s agent and relocation expert. 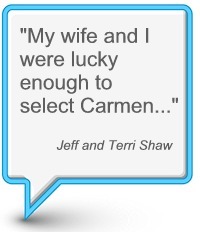 I chose Carmen based on her specialties and highly positive reviews.My purchase process was seamless from the start with the set up of a personal search portal we used to narrow the home choices. I preferred to make a few trips to see the homes in person, but Carmen and her team were willing to do the home viewings on my behalf. Each time I came for the showings, everything was well planned and executed. The entire team was very responsive, organized and helpful in guiding me through each step of the process. The house I chose had a very short purchase timeline which could have been an issue if the process had not been well planned and facilitated. 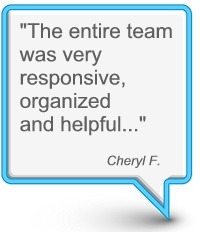 I could not have asked anything more from the team.Cheryl F.
We had talked for a long time about buying a vacation home in a warm climate to have an escape from our cold winters. However, buying real estate can be a daunting task for those who are not familiar with the intricacies of the market and legal contracts. Marc and Carmen were extremely proficient and gave excellent advice in all of these areas of the buying process. We corresponded easily by email and phone prior to our trip to Scottsdale to make sure we had everything in place to make a decision quickly if we found the right property while we were there. By the time we arrived Marc and Carmen had narrowed our search for homes that met our requirements and we made an offer on the 4th day of our 5 day trip. Our new vacation home in North Scottsdale is everything we had hoped for and more. We couldn’t be happier! My family and I would just like to take a minute to thank you for all of the hard work you put into making our home buying trip successful. Although the process isn’t over, we are very appreciative of the care and attention that has been paid to us. We would like to let you know how accommodating and professional we thought you were throughout the weekend. You explained the pros and cons about buying in certain areas, but didn’t discourage us, or try to impose your personal opinions. You worked very hard to find us many exciting places to view. We look forward to the remainder of the process and will be talking to others about our experience. Thank you so much for helping me find the perfect home for my son and I. Lisa is a true professional. It took quite awhile to find our home, since I knew just what I wanted and what area I wanted to be in. Lisa never gave up on me. She was very patient and never pressured me. I felt she truly wanted me to be happy with the purchase I made and not just anxious to make a sale. She was very on top of everything and if other agents or the escrow company were not, she was on them until they came through. Lisa made sure I had everything I needed done and helped me, so much, through the process. She made it easy! Even after I closed she has continued to give me referrals and help me in any way that she can. She is a true gem!! Carmen, Lisa and team were exceptional to work with. At the beginning of our search, we found the web portal very efficient and useful in narrowing things down, given that we are Canadian buyers. Our viewings when we were physically present in Scottsdale were very well organized, and the lead up to the closing process spared no detail. Carmen and her team went above and beyond expectations through the final walkthrough and even following closing. We would highly recommend Carmen, Lisa, and their firm to anyone exploring the Scottsdale market, and wishing to work with a professional, responsive team. December 9, 2012Rob and Paula Duguid – Saskatchewan, Canada. This was my first home purchase and Ariel Bierl from The Brodeur Luxury Group was professional, knowledgeable, courteous and patient from the minute we first spoke. Even those she referred me to for an inspection and for finance were exceptional; the mortgage broker, Lillian Wong of imortgage saved me thousands. Ariel took the time to explain things I wasn’t clear on and walked me through the process for a smooth and seamless home purchase. Her knowledge of all the communities was impressive and she pre-screened the properties to the extent that I did not feel a minute of my time had been wasted. She went way above my expectations in too many ways to list here, but she was attentive, prompt and intuitive at every stage. She took a genuine interest in my purchase and offered honest and candid criticism of each and every property we viewed. At no point did my full trust in her professionalism or candor wane. Her support team and title agency was equally exceptional, again supporting me through this stressful time. A sincere and heartfelt thank you to Ariel and her team on a wonderful job! Our personal agent was Ariel. She was not only extremely knowledgeable and pleasant to work with, but accommodating to our every need – excelente servicio! As well, support staff did an excellent job being attentive to every detail. I would highly recommend Trillium Properties to anyone considering the purchase of property in Arizona. Our agents at Trillium Properties pride themselves on their friendly and dedicated service to those buying and selling Scottsdale real estate. 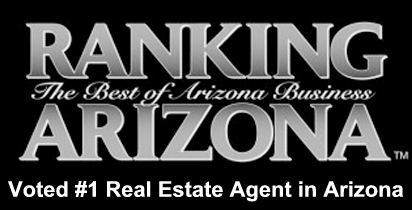 Carmen Brodeur is a top Arizona Realtor with experience as a real estate attorney. Her background makes her uniquely equipped to negotiate the best deals for her clients. Trillium Properties specializes in Scottsdale golf homes and luxury properties.